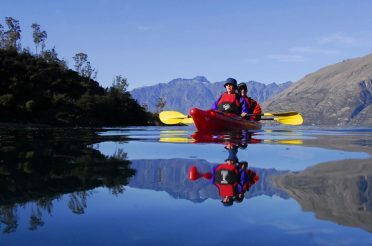 Sea kayaking in New Zealand offers endless opportunities. Depending what you attracts you most to a sea kayaking trip in New Zealand, here is an outline of the best places for sea kayaking around New Zealand's North and South islands. You will encounter special wildlife basically anywhere you go sea kayaking in New Zealand, from native seabirds to but if you want to be sure you get a memorable experience interacting with New Zealand’s unique species on a sea kayaking tour, there are a few particular spots you should target. 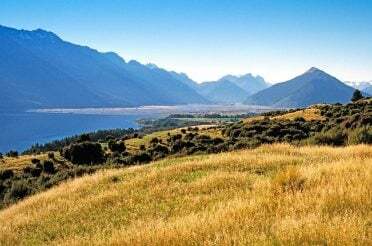 Kaikoura is best known as the South Island’s whale-watching mecca, but there is plenty of other wildlife in these waters. 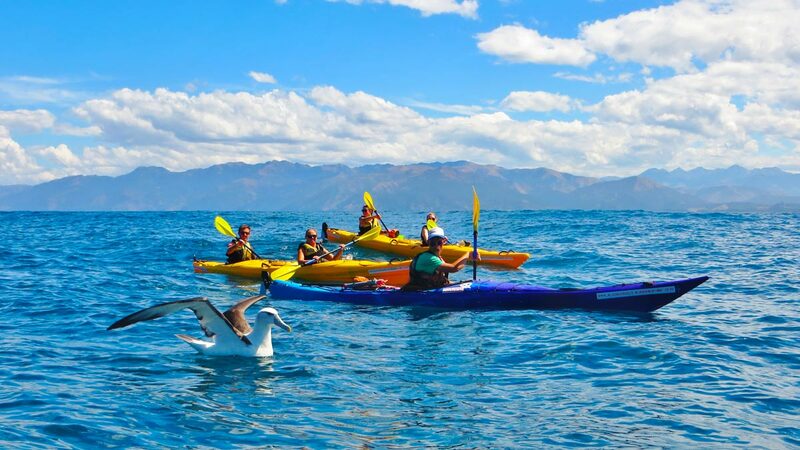 While you won’t get out far enough to worry about crossing paddles with a Humpback, you can be surrounded by dusky dolphins and playful fur seals – as well as stunning mountain scenery – on a Kaikoura sea kayaking tour. If you’re looking for something smaller, take a sea kayak tour from the sleepy Canterbury coastal port of Akaroa and you’ll encounter Australasia’s largest mainland colony of Little Penguins at Pohatu Marine Reserve, not to mention staggering cliffs, dramatic rock stacks, and an impressive natural arch. The North Island is also full of fantastic nature spotting sea kayak spots, from the picturesque islands dotted around Auckland’s Hauraki Gulf to native Hector’s dolphins off the west coast. Perhaps the pick of the bunch for wildlife spotting, though, is a kayaking tour from Whakatane to beautiful Whale Island, which despite the name is home to more fur seals, little blue penguins, and diving gannets than whales. It is also a kayaker’s paradise, with secluded coves and caves to explore, tranquil waters, and a completely different pace of life from the mainland. 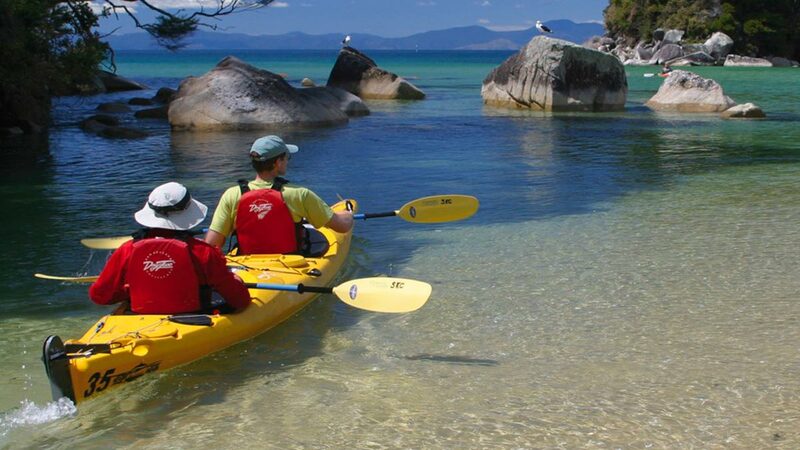 If photo opps are your main attraction to a sea kayaking tour in New Zealand, you won’t be disappointed with any of the many sea kayak tour options in Abel Tasman National Park, only a few hour’s drive from the Picton ferry terminal and Pelorus Eco Adventures’ base in Havelock. This region of long sandy beaches, vibrant turquoise lagoons, and iconic rock formations is built for kayaking, which is by far the best and most peaceful way to enjoy it. The North Island boasts its fair share of stunning beaches too, of course, and the Coromandel Peninsula hosts an impressive cluster of them. 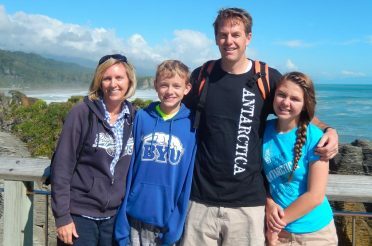 Not far from popular Hot Water Beach, family-friendly sea kayak tours departing from Hahei are your ticket to the remote coves, quiet beaches, sandstone sculptures, and awesome scenery of the Coromandel’s northern coastline. The undoubted main attraction is Cathedral Cove, an iconic photo spot not to be missed! If you’re looking for a sea kayaking tour with a bit of variety, hunt out one of the many combination kayak tours around the country where you can camp overnight, whether on an island, a beach, or surrounded by lush forest. 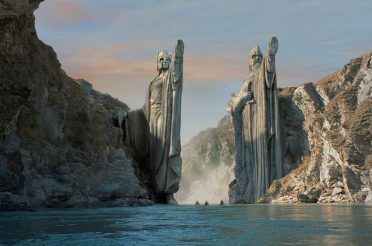 You can also hop off the kayak to hike through unspoilt landscapes, or drop a fishing line as part of your sea kayaking adventure in New Zealand. Kenepuru Sound, alongside the smaller Pelorus and better-known Queen Charlotte sounds in Marlborough, is the place for serious kayak fishing, with a range of options from private charters and tours to kayak rental operators for experienced kayak fishermen who know what they’re doing. 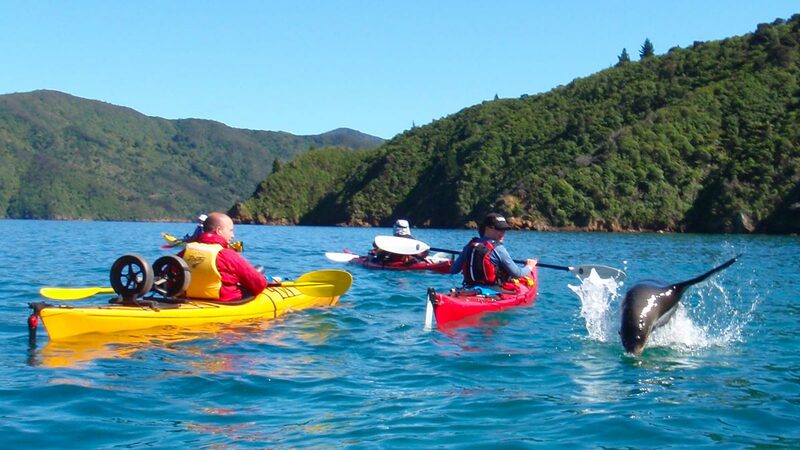 The added bonus of sea kayak tours in the Marlborough Sounds for hikers and trekkers is the proximity of the Queen Charlotte Track, one of New Zealand’s great walks. 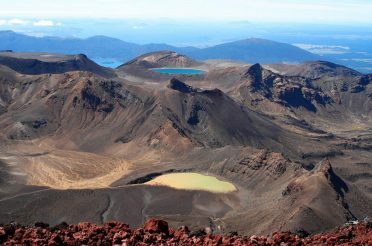 Tracing the hills and forests wedged between Queen Charlotte and Kenepuru sounds, this famous trail has incredible views and numerous entry and exit routes which make it easy to combine with the rest of your itinerary. 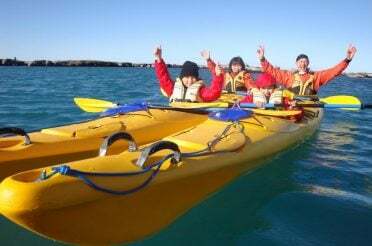 If you really want to challenge yourself on a New Zealand sea kayaking tour, it’s hard to go past the intrepid 6-day Dusky Sound sea kayaking adventure, which takes you right into the heart of Fiordland’s remote wilderness in the safety of highly experienced guides. 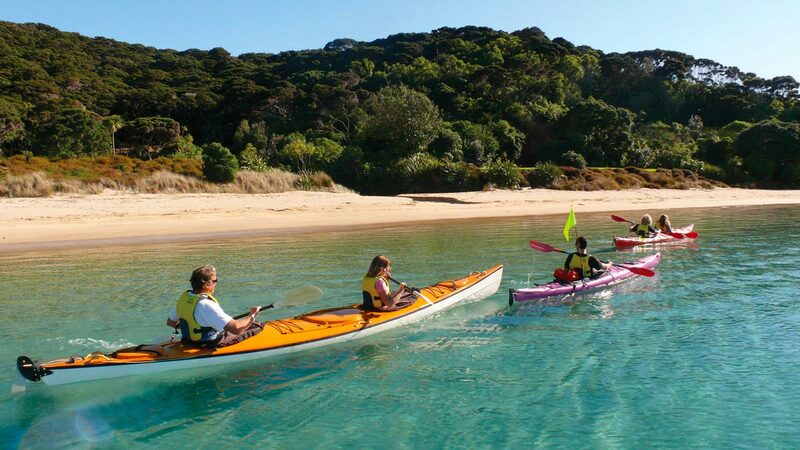 Unsurprisingly given the name, the Bay of Islands boasts a ridiculous number of beautiful sea kayak tours around different islands, making the most of the area’s subtropical climate and stunning scenery. Paihia is the main departure point for sea kayaking tours, with numerous tour operators dotted around. 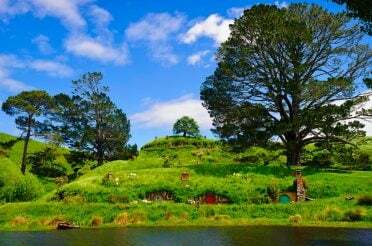 However, you don’t even need to venture that far from the big city to get a similar experience. 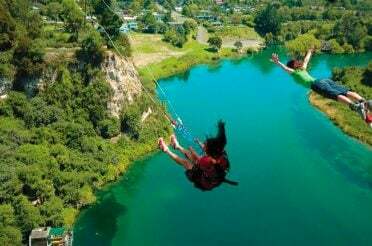 Although Auckland is New Zealand’s main metropolis and commercial hub, it’s also the gateway to one of the country’s most impressive cluster of islands. Around the Hauraki Gulf you can kayak directly from Auckland to explore the untamed natural beauty and wildlife of Motutapu Island, enjoy a coffee and the funky offbeat vibes of trendy Waiheke Island, camp overnight in unspoilt peace on Moturoa Island, or take in the breathtaking volcanic views of Rangitoto Island on an unforgettable sunset sea kayak tour.